Even as I write this I’m getting in some last minute listening. But most of my favorites were obvious from the first listen. That’s all the preamble I got this year. 1. 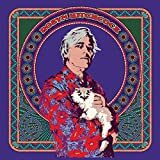 Robyn Hitchcock – Robyn Hitchcock. I’ve liked most of his output over the years, but this might be my favorite since Eye. Helped by Brendon Benson’s production, this is the most tuneful, best sounding album Robyn’s done in some time. 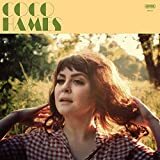 Earworms galore and I can sing along with almost every track. You probably don’t want to be around for that. 2. 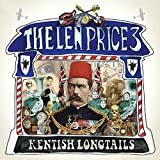 The Len Price 3 – KENTISH LONGTAILS. Earworms galore and I can sing….wait a minute. Trying not to intellectualize too much. These are the discs that got the most spin, is all. Rocking throwbacks, they wear their influences on their lapels – The Who, Small Faces, The Jam, The Kinks. But their influences would mean nothing if they didn’t have songs. 3. 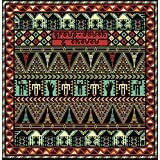 Group Doueh & Cheveu – DAKHLA SAHARA SESSIONS. I can’t dance, so the most I can muster is some vigorous toe tapping and counter banging. 4. 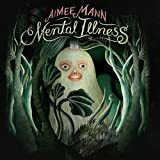 Aimee Mann – MENTAL ILLNESS. It’s been ages since I’ve really fallen for an Aimee Mann album, but now I’ve fallen hard. Kind of a 70’s sound without being cloying, to my ears anyway. 5. 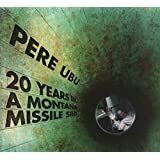 Pere Ubu – 20 YEARS IN A MONTANA MISSILE SILO. Like Robyn Hitchcock, I’ve liked most of their recent stuff, but this might be my fave since Ray Gun Suitcase from 1995. My only problem is that it’s too short. Hit replay. 6. 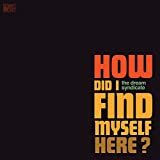 Dream Syndicate – HOW DID I FIND MYSELF HERE? They rock. OK, I’m out of pith. Just gonna list stuff from here. Mostly. 7. Thee Oh Sees (that’s what I’m calling them for these purposes even though they keep changing their name) ORC/MEMORY OF A CUT OFF HEAD. Cheating by putting both of their 2017 releases here. 8. 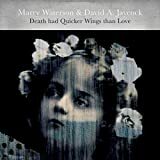 Marry Waterson/David A. Jaycock – DEATH HAD QUICKER WINGS THAN LOVE. 9. 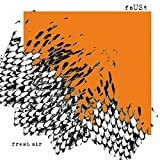 Faust – FRESH AIR. 11. 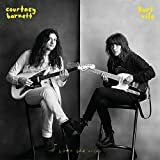 Courtney Barnett/Kurt Vile – LOTTA SEA LICE. Lotta people seem to hate this one. Sounds like they got really stoned and recorded while lying down. Listen enough and the melodies show up. And a cool Belly cover. 13. Circuit des Yeux – REACHING FOR INDIGO. 16. Ty Segall – S/T. 17. Tinariwen – ELWAN. The Mark Lanegan vocal is kind of jarring though. 18. Richard Dawson – PEASANT. Ron Gallo – HEAVY META. Chastity Belt – I USED TO SPEND SO MUCH TIME ALONE. Laetitia Sadier – FINDING ME FINDING YOU. 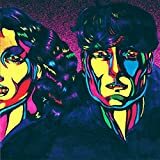 Peter Perrett – HOW THE WEST WAS WON. VA – HIRED HANDS (Bruce Langhorne tribute). The Replacements – LIVE AT MAXWELL’S. Husker Du – SAVAGE YOUNG DU. Television Personalities – bunch of stuff. Turtles – bunch of stuff, especially TURTLE SOUP. V/A – GARY CROWLEY’S PUNK AND NEW WAVE. V/A – EVEN A TREE CAN SHED TEARS. Movies, in no order. I haven’t seen as many as I’d like, though. I’m sure there are things I forgot and stuff I didn’t get to but there are no do-overs in Poopland. Be the first to comment on "John Lefsky Poop 2017"